Great to hear Kaine, looking forward to riding with you next year! If you have this tour again next year I am definitely interested. How much would it cost to bring my bike from Melbourne Australia? It’s a 2007 Honda Deauville. Ok Stuart, We’ll keep in touch about next year’s ride! About getting your bike to Europe your best bet will be Dave Milligan at Get Routed (www.getrouted.com.au). He took my bike over last year and will be doing it again next year. Let me know if you need further assistance. why do you use a picture of the stelvio pass in Italy as the backdrop photo? 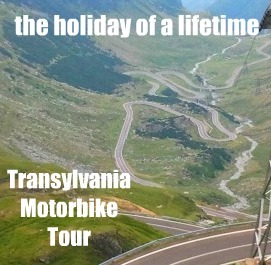 surely if the the best rated roads and the trip is in transilvania..then? On Twisted Planet there are many awesome roads to ride on. Stelvio is one of them.